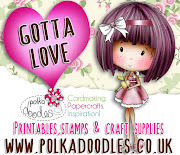 Inspiration week here at Polkadoodles, for Week 2 of our Girly but No Pink challenge. But, before we get to that, have you seen the latest releases by Nikky!! 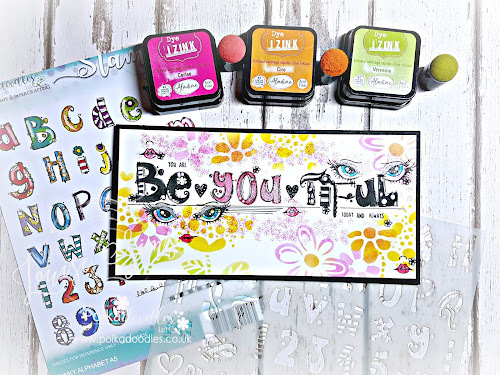 gorgeous papers to give you that wow factor to your fabulous creations. The winner of our Things with Wings challenge will be announced at the end of this post. Now lets take a look at the Design Teams fabulous creations this week. 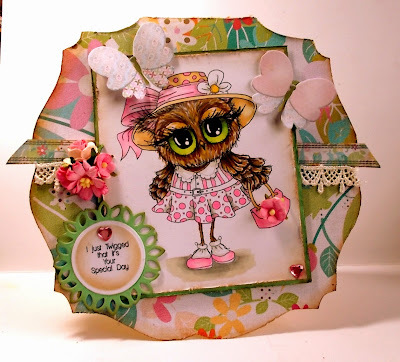 Scatty Jan - Ohhhh girly but no pink there's a challenge I just love using Pink. I decided to colour up Eden Cherryblossom part of the Eden collection, The sentiment is also from there, but also as a digi here. I coloured up using polychromos. The Paper is from Dollie Daydream goes East and I have punched the flowers out of the same. 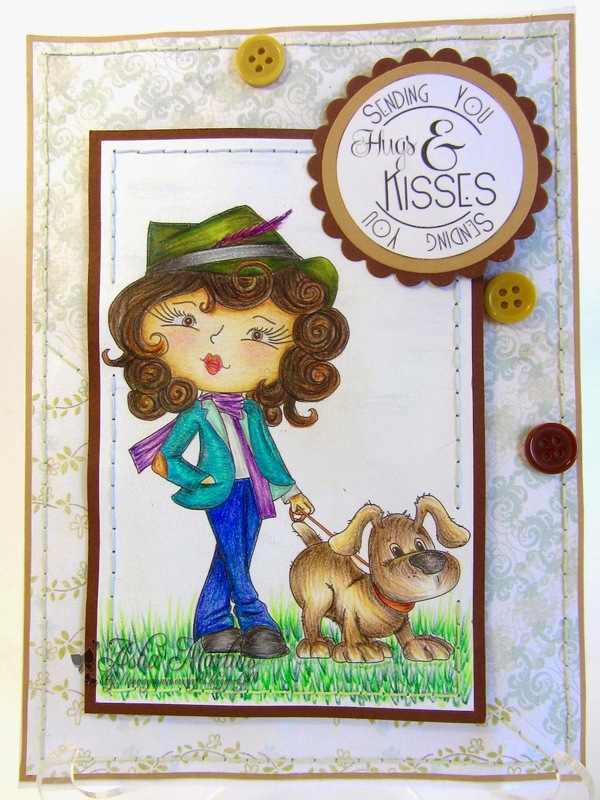 Asha - I'm a little bit country this week! This simple card is made using papers, sentiment and an image from the Work and Play 10 Country Life Full Digital Craft Collection. 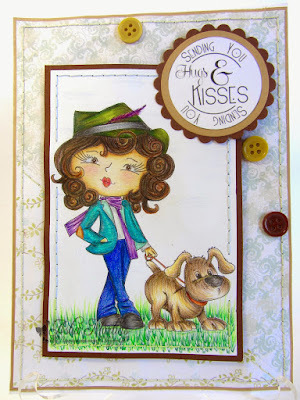 I coloured the Dog Walking Country Lady with Faber Castell Polychromos and added 3 buttons as embellishment. This image is also available as a download digi. Penny - At a recent retreat a friend and I were talking about cards for teachers and making this a little bit different and individual. I coloured up the Teacher Digi from Work and Play 3 and combined her with some of the digi papers from the kit to create the cute little blackboard frame. 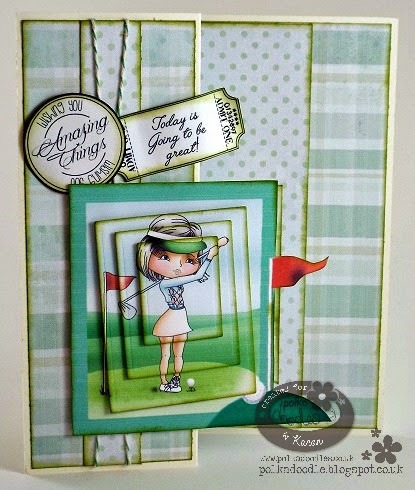 Karon - For my card this week, I chose to use the fabulous female golfer, off one of the design sheets, from the wonderful Work and Play 11 Collection. I printed her out several times and then layered her up pyramid style. 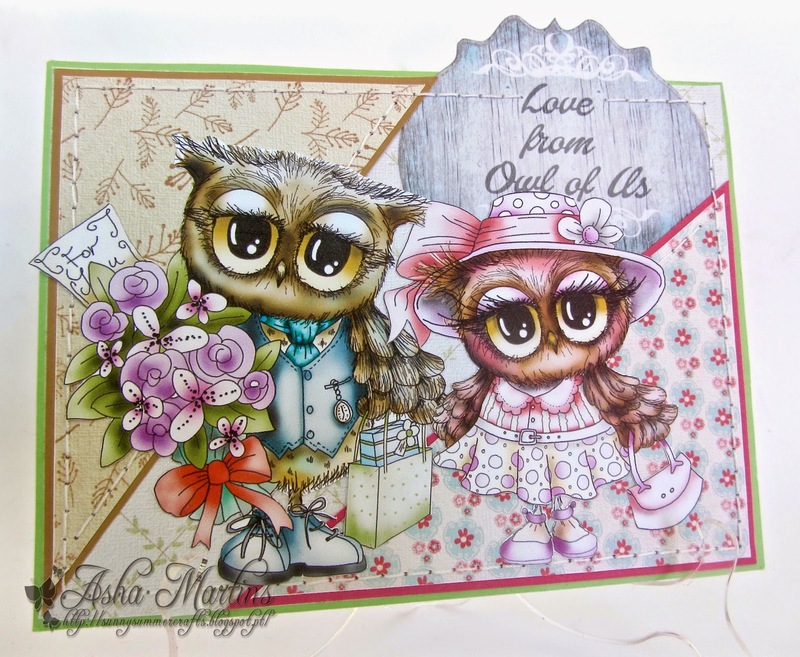 I made a Z-Fold card and all the papers, sentiments, are from this wonderful collection, it's also available as and instant download. The image is available as in individual download Female Golfer. pre-coloured Gymnast isn't she adorable, you can also get her as a single Digi if you choose. 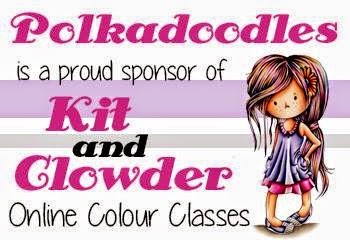 Trust me though you will want the whole collection its fab and super for so many occasions. 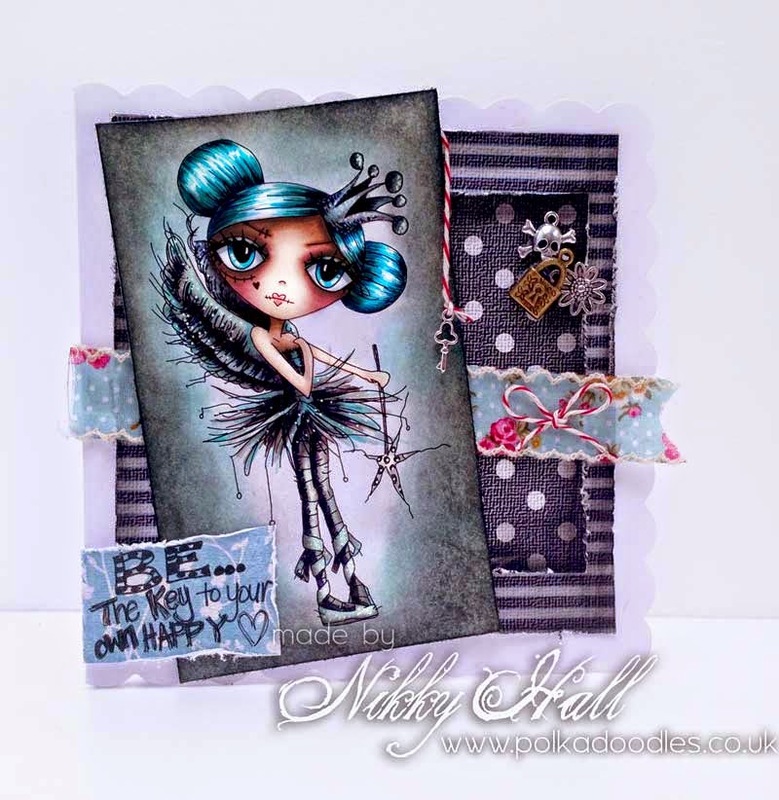 Lou: I've gone all "grungy" for my girl inspired card and have used lots of elements from Bonbon Belles to create my card. 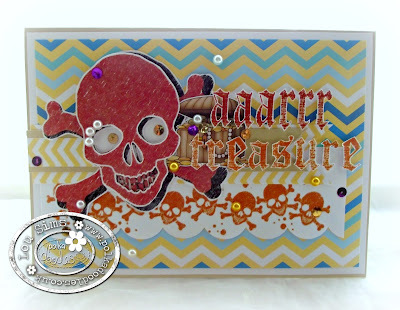 Added some "bling" to lift the colours and used my GraphIt gold glitter shaker pen to highlight the words. Please contact us HERE and quote PD22001Wk19 to claim your prize. Congratulations to everyone, and don't forget to take your blinkies from the side bar. Maximum of 2 entries per person and please follow the blog to be eligible for prizes! wonderful creations and inspiration each week. You have until 12 noon. GMT, Friday 5th June to enter. I coloured them with Copics. 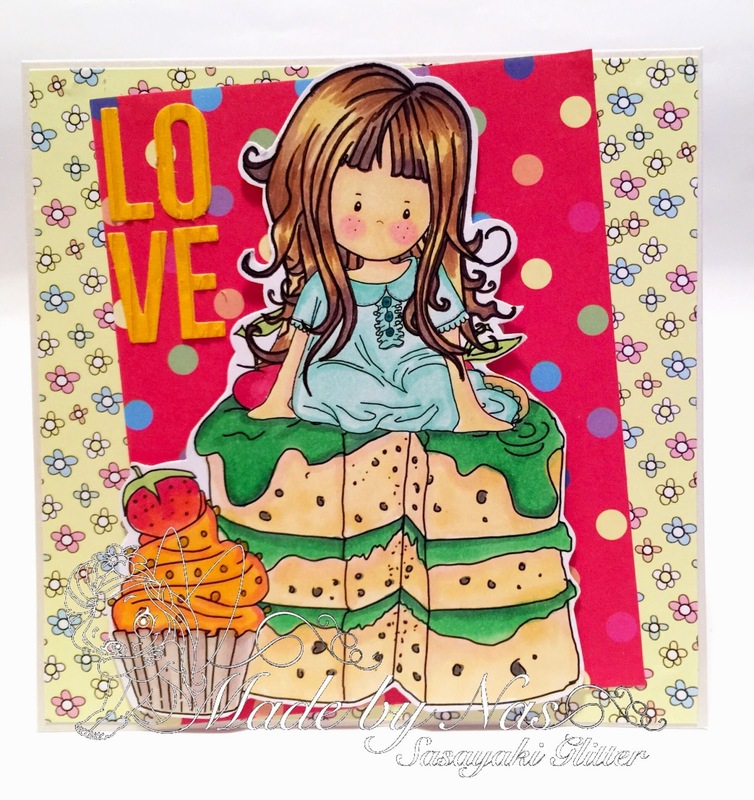 I used Kaisercraft Decorative Dies - Block Words to cut out the word LOVE. Anita- Hi there all today I bring to you Octavia moonfly dragonfly available in Octavia Bundle collection and as a Digi Download . I coloured with alcohol markers and enhanced with polychromos pencils. 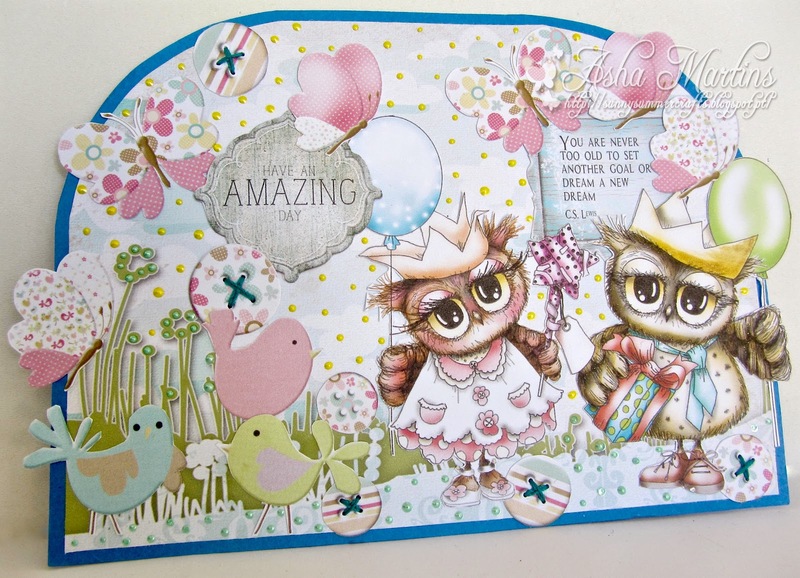 Ria- Here is my card for the Girly but no Pink challenge I used the gorgeouss Eden Collection to create my card. I created this all digital card so I only need to print it on cardstock when I need it and send it off and I can print off more then 1 hahahaha sometimes it is really easy for when you need a quick card and have nothing in stock.... for those forgotten birthday's. I coloured Eden with Markers and enhanced with pencils. Jenny - I've used Work and Play 10 for my card this week, fancy having something girly but no pink! Well I managed it with the help of the little girl and cats coming in from the milking. Anjie - The image I have used is Oddella Fairy and is coloured with my Graph'It Markers. The papers and embellies are from the Eden Collection, which is also available in smaller collections HERE. 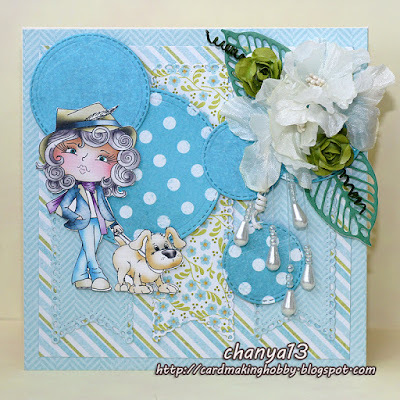 Wendy - On this weeks card I've used the fabby Odella with bag from the Ickyinks. The flowers and the senitment scroll are from the Dollie Goes East collection. 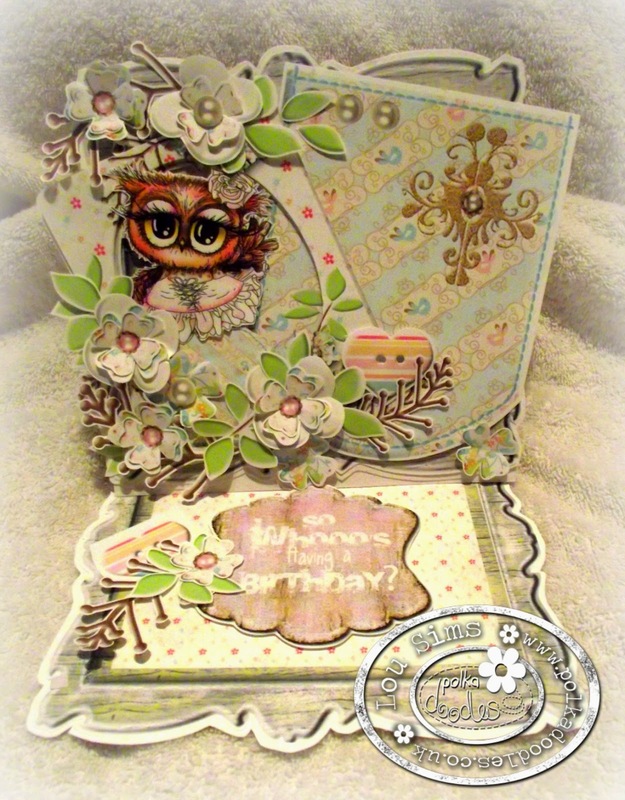 The backing papers are also from this collection, the green mat is from the papers section, however the patterned paper is actually from the inserts section, just cut down and stretched to fit using Craft Artist. Claire C I've used this gorgeous image from the Octavia Moonfly Collection (available as a download here or as a cd here) , you can also buy her as an individual digis stamp 'Octavia Moonfly Washing Day'. 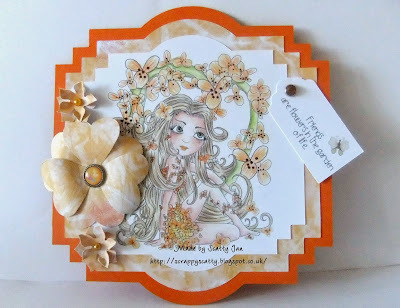 I've coloured her with my Graph'It markers and just added some ribbon, gems and a pretty rose button from my stash. Happy Friday Everyone - time for more challenge loveliness! 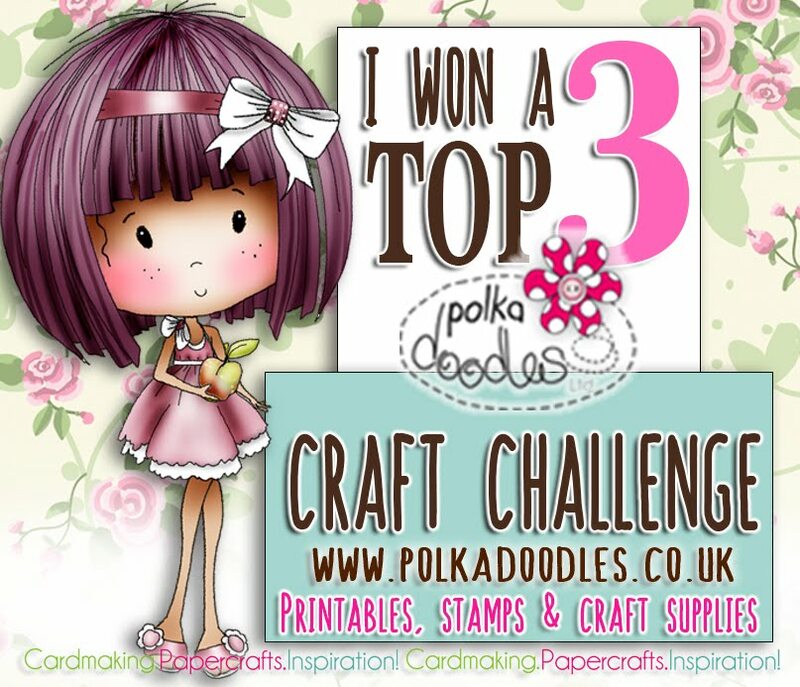 Don't forget, you do not need to use Polkadoodles products to enter our challenge. 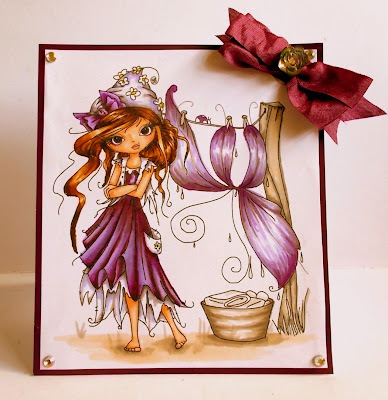 Our Random Winner for this challenge will win a £5 voucher to spend on Ickyink stamps! You have until 12 noon. GMT, Friday 22nd May to enter. Winners of our Anything but Square challenge can be found at the bottom of this post. Naz - The image I have used here is from Polkadoodles TWIGGY AND TOOTS collection. 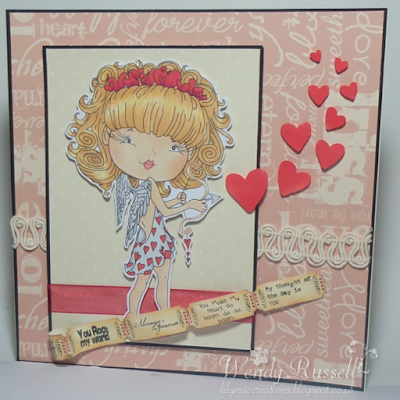 Wendy - This fortnights challenge is 'Things with Wings' and I've gone with Cupid. 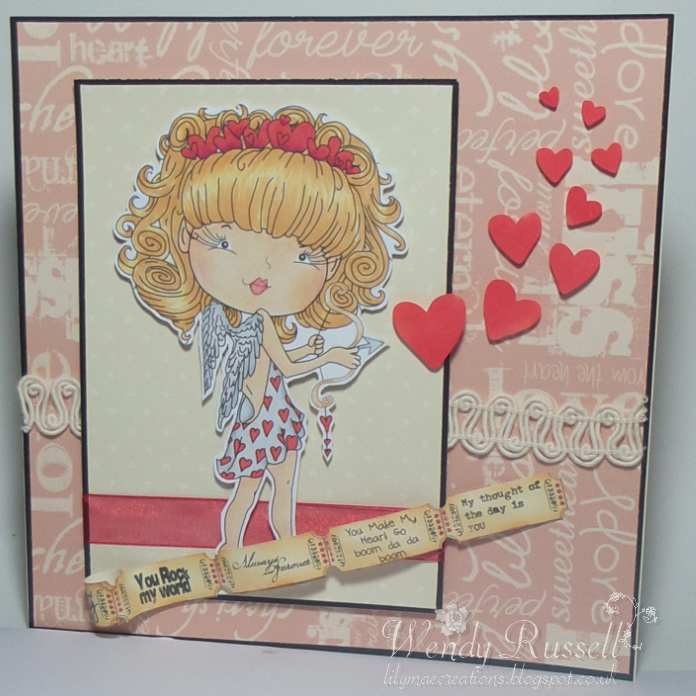 You can get the Cupid digi stamp here. You can also get her as part of the fill Work & Play 9 collection, which includesCupid as well as both papers I've used and the tickets sentiments, which I have adapted in Craft Artist to join several of them in a strip. Get the CD here and the Digital collection here. 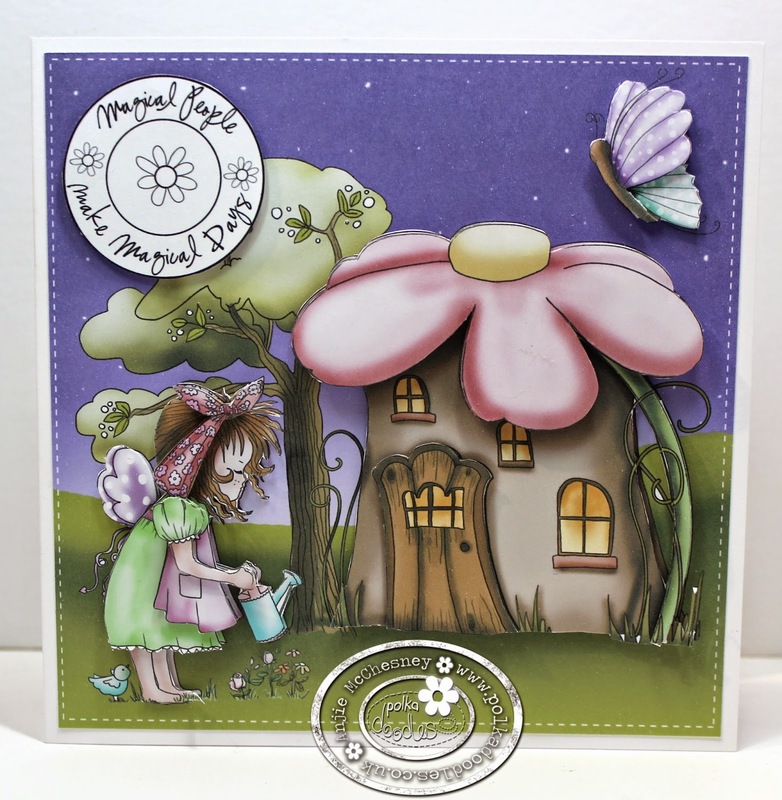 Anjie - I have used the Sugarplum Daisy CD to create my card. I chose a background and then placed a house, a tree and a butterfly over it. I then printed all the elements out a few times and fussy cut them to create some decoupage. More details and photos can be found on my blog by clicking on my name. 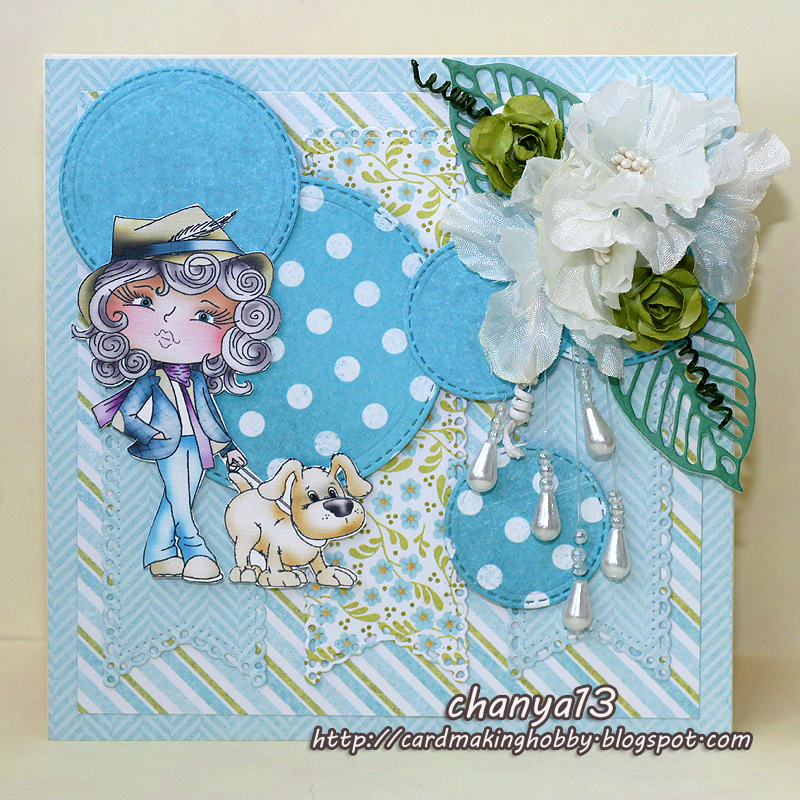 Ria - I wanted to show you a digital card made with the gorgeouss Eden Collection. 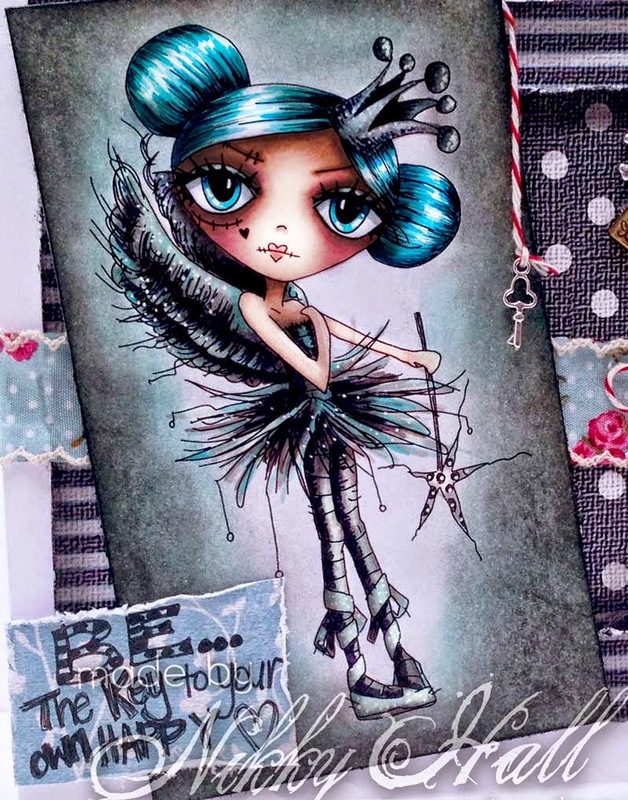 I only printed the Eden Fairy Wings stamp and coloured her with alcohol markers and enhanced with pencils. I created my card in an photo editing program. And it is really easy as you just layer the items up and add some dropshadings if you like that. I can now print my card on cardstock and just send it out with having to touch glue, scissors or anything. 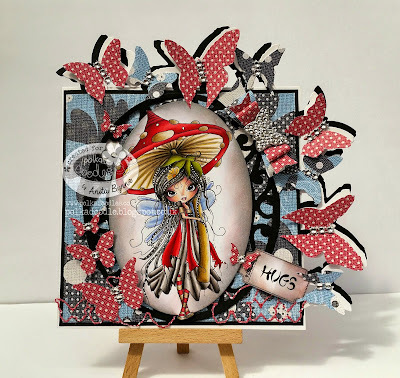 Anita - Hi there today I would l like to show my first ever Octavia collection image which is available a s a bundle Download bundle and also available as a Single digi .. The backing papers are from the same collection and they are unbelievable the texture is amazing ... Coloured with alcohol markers and enhanced with pencils. Jenny-I've used Eden for this card, I love this collection. I've coloured her with Graph'it's now I've got a decent collection. 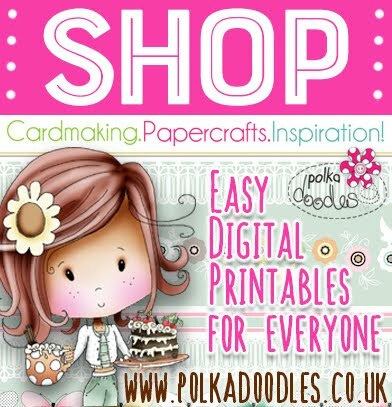 You have won £7.50/ $10USD to spend in the Polkadoodles Digi Store! Thanks and congrats to you all, don't forget to take you blinkies from the side bar. all your wonderful creations and inspiration. Things with Wings you can find it here! But before we get to that we have some news for you. Now let's get on with the new challenge! as long as you follow the theme for the week. You have until Noon, Friday 22 May to enter. Scatty Jan - I had to use the stunning Octavia again perfect for our with wings challenge - This was my first ever colouring with Polychromos and was quite pleased how she turned out. The Image Octavia Best Friends you can find here . The papers used are from the Cherryblossom Lane CD that you can find here. I punched some flowers out of the papers and just added some pearls. A length of ribbon and some sparkly gems to finish . 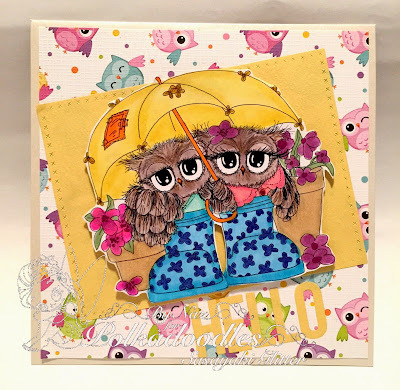 Karon - Who could resist using the newest release of Twiggy and Toots for this wonderful challenge. 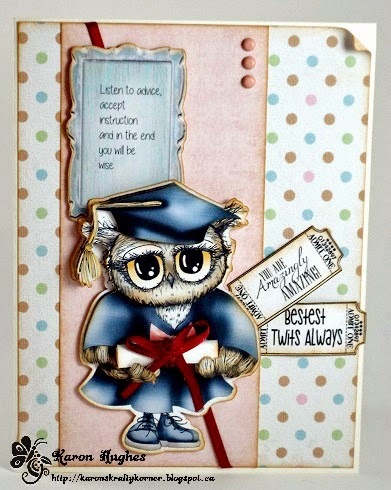 I have used the pre-coloured Graduation Day owl - for this card. I decided to make up a little scroll and insert this into his feathery arms :-) Everything is from this wonderful collection. Lou: I have used the Eden Big Kahuna Collection to make card as I adore all the embellishments, sentiments and extra images on the CD and with these, you can rustle up a quick card. Asha - I'll be honest, I'm in love with the Twiggy and Toots collection. I'm using these adorable guys 2 weeks in a row. Can can you blame me?! Everything you see on my card is from this collection. All you need is a good pair of scissors. 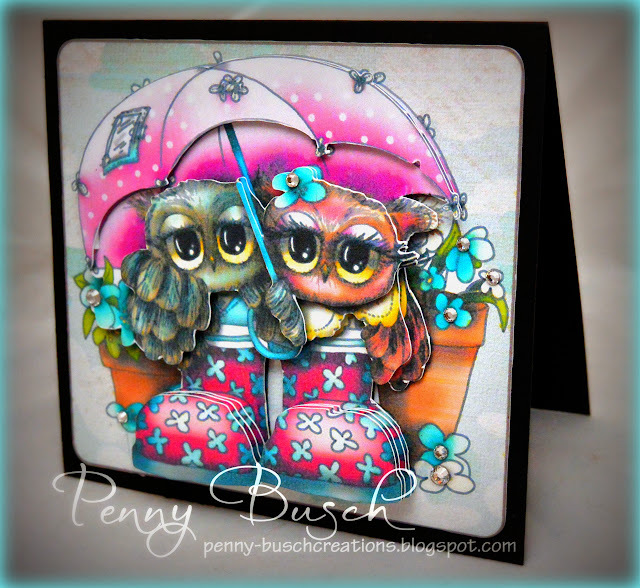 Penny - I have been wanting to play with the Twiggy and Toots collection since it was released. I was tempted to try the design sheets and to try a style that's new for me. I loved how easy it was to create this card. The colours are so vibrant and the images are too cute for words. I printed my images onto gloss which gives it even more wow factor. 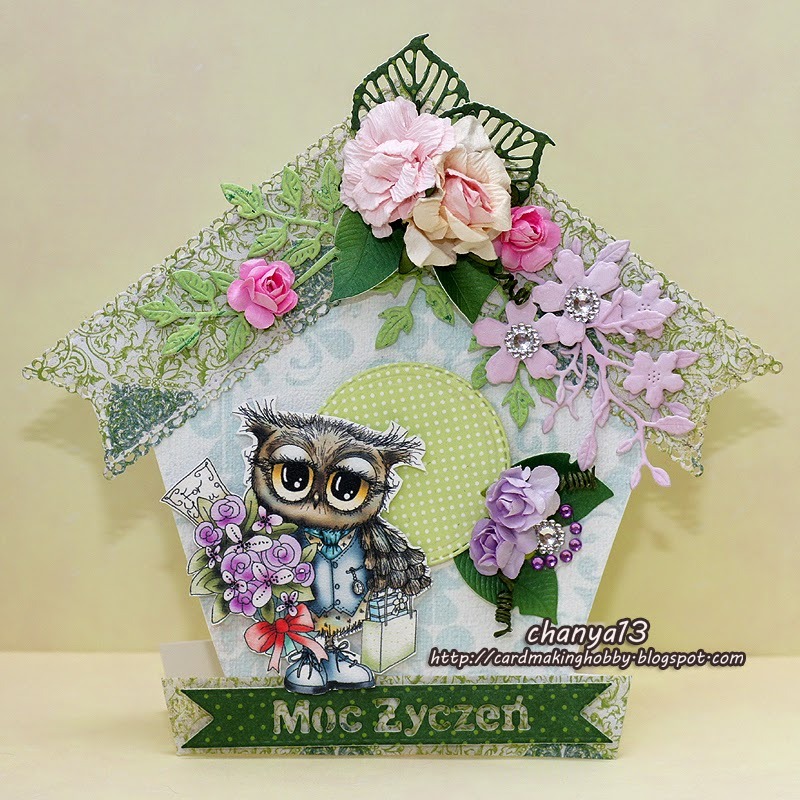 Agnieszka - hello Crafters :) I also used Twiggy and Toots collection :) I love it :) I created a birdhouse, which I cut from CD templates and added pre-coloured image with owl. 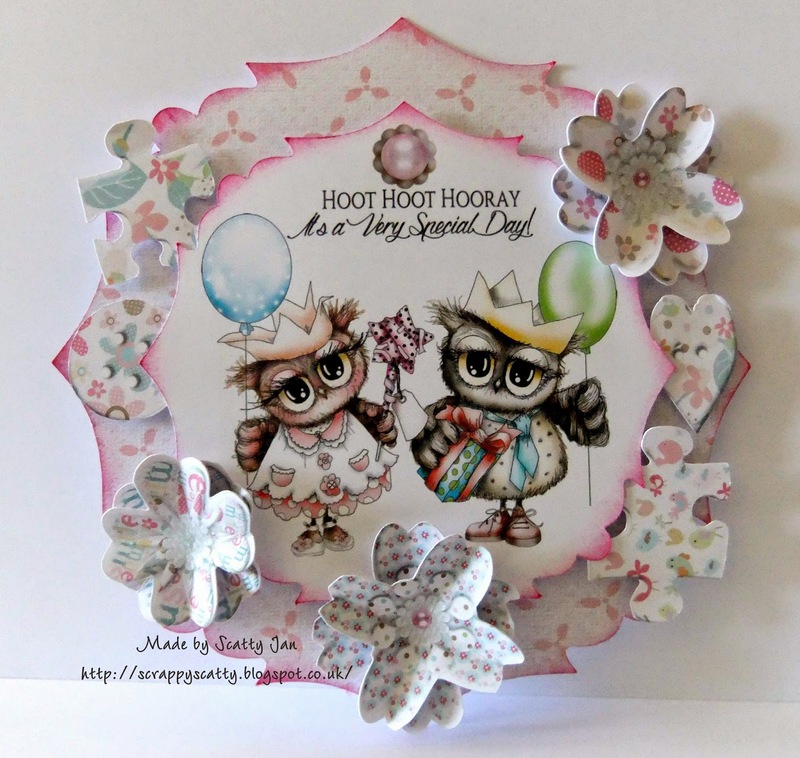 I know that only 2 weeks ago we had a shaped card challenge, but I loved this so much I had to use it ;) It is so cute and you can create your card quick and easy :) You must add some embellishments only and your card is ready. Happy crafting. Cheremane - I adore the Twiggy and Toots Cd so couldn't wait to show you one of my creations from this fabulous Cd. Instead of my normal card makes I decided to make a birthday book as the Cd is jammed packed full of crafty goodies for all you paper crafts needs. I have used Birthday Mail Twiggy and Toots Digi which you can download as a single Digi if you so wish. What wonderful inspiration from the Design Team! look forward to visiting your blogs. Hellooo out there - it's Friday!! Did you all have a fabulous week of craftiness?! Firstly, that Twiggy and Toots is now available in the Polkadoodles Store. Either as the CD or immediate download - yay!! And just in case you hadn't seen - we have another fabulous new Work and Play release just out this week! You can save 20% on this collection if you order before Wednesday 6th May, use coupon code WP112 at the checkout!! The winners from our Pink and Pretty Challenge will be announced at the end of this post. Please only 2 entries per person - to make it fair. You can find the rules in the side bar over there ----->You have until Noon GMT, Friday May 8th to enter. Scatty Jan Oh I soooo love this new collection Twiggy and Toots CD also as a download here - I have used a pre-coloured image , the papers, sentiment and elements are all from the collection - I truly adore the jigsaw pieces. Asha - Great minds think alike! Jan and I are using the same CD, same image but two very different makes. 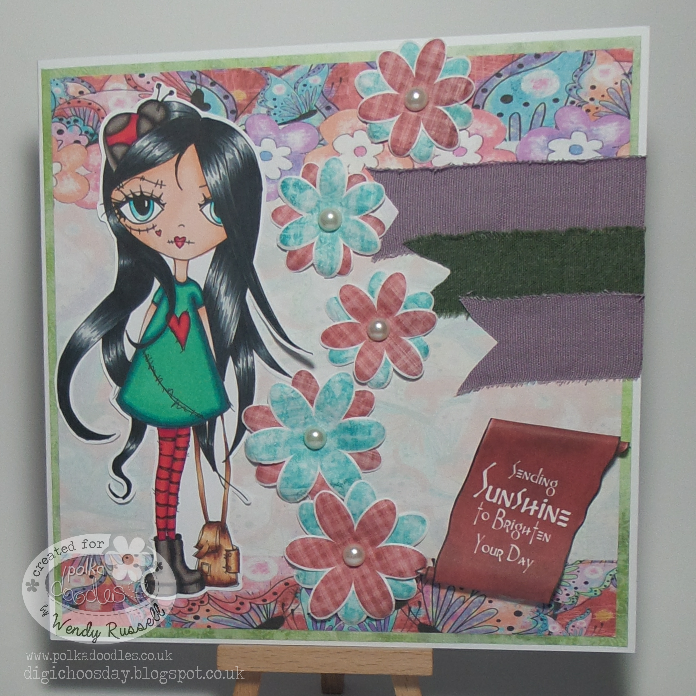 Image, elements, embellishments and papers from the super cute, super versatile Twiggy and Toots CD. There is also a download version, if you want immediate gratification! Lou: Oh dear, real Twiggy and Toots fest here as yep, I used this fab collection too. I made my card shape by using one of the frames and a journal card to create my easel card. I have then used the same frame to create the stopper and the cute ballerina image. 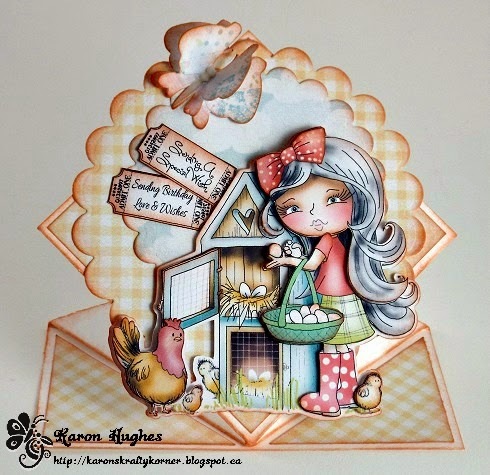 Karon - I decided to use the Work and Play 10 - Country Life collection for my card this week. I made a spring fold card and the wonderful pre-coloured digi Egg Collecting, which is also available as a single digi download. Everything on this card is from this wonderful collection. 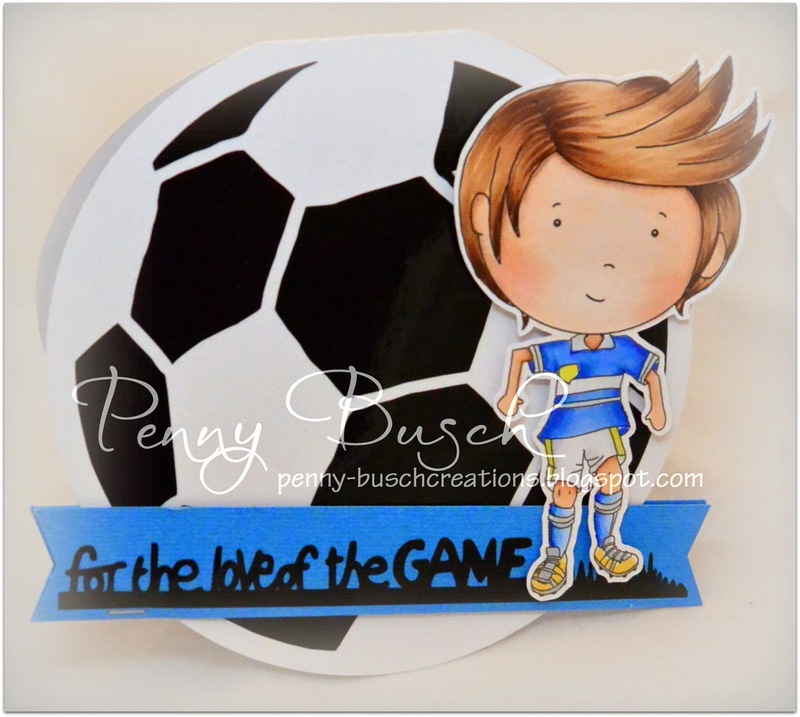 Penny - When looking through my Polkadoodle kits, I saw the soccer ball image and I decided to run with it, with a CAS theme. The sentiment is also in the WP6 kit. Work and Play 6 has a variety of images including both a male and a female football player which are available as individual downloads too. I cut my circular base on the cameo and decided to trace and cut the football and the sentiment from black vinyl, making the ball shine. Cheremane - I have used the truly stunning Eden Collection to make my inspiration for you today. You can also get the image that I have used which is Eden Butterflies Digi on her own as a single Digi Download, but trust me when you see the collection as a whole you will need it all. 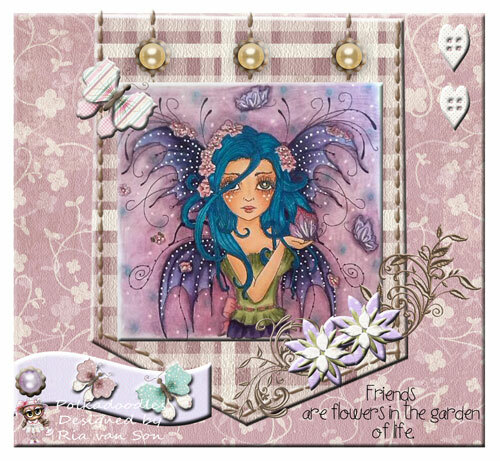 I have teamed the main image with the Sentiment papers & butterflies which are also from the Eden Cd. Jane: I have joined in this week as I unfortunately couldn't play along last week. 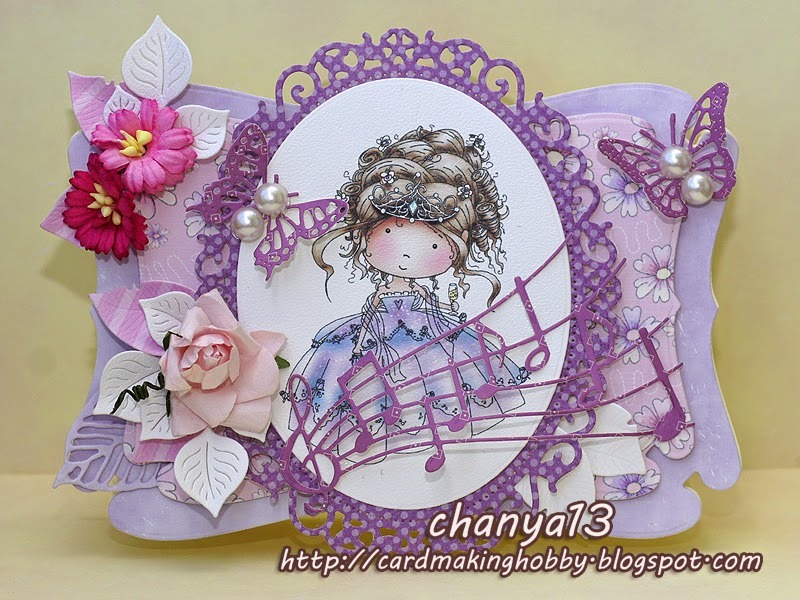 I have used Twiggy and Toots to create my card and placed the ballerina image in front of her house. 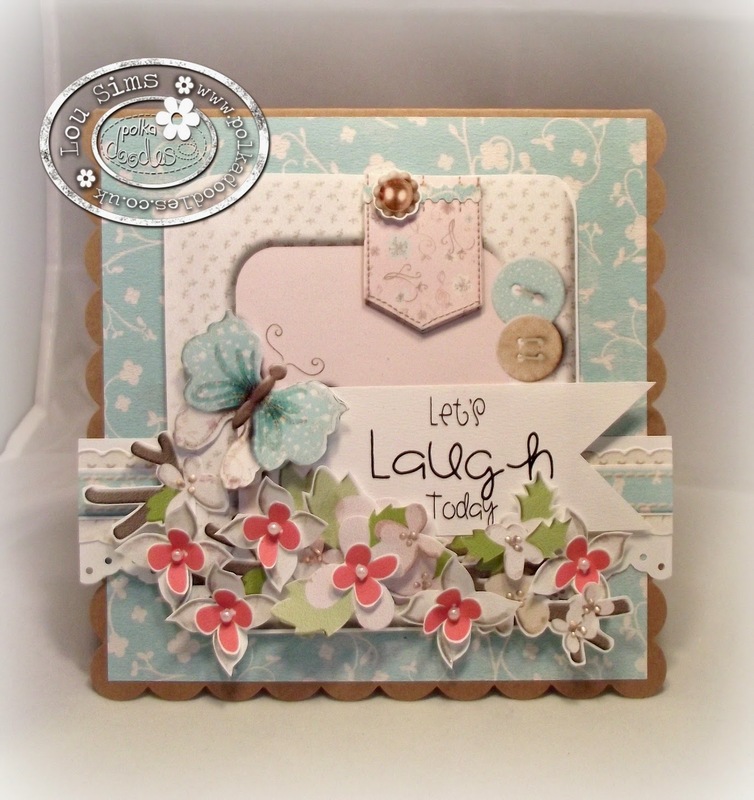 I have added some die cut flowers to the front and inside of my card. Gorgeous inspiration from the team! Please email us here quoting PD18001wk15 to claim your prize. 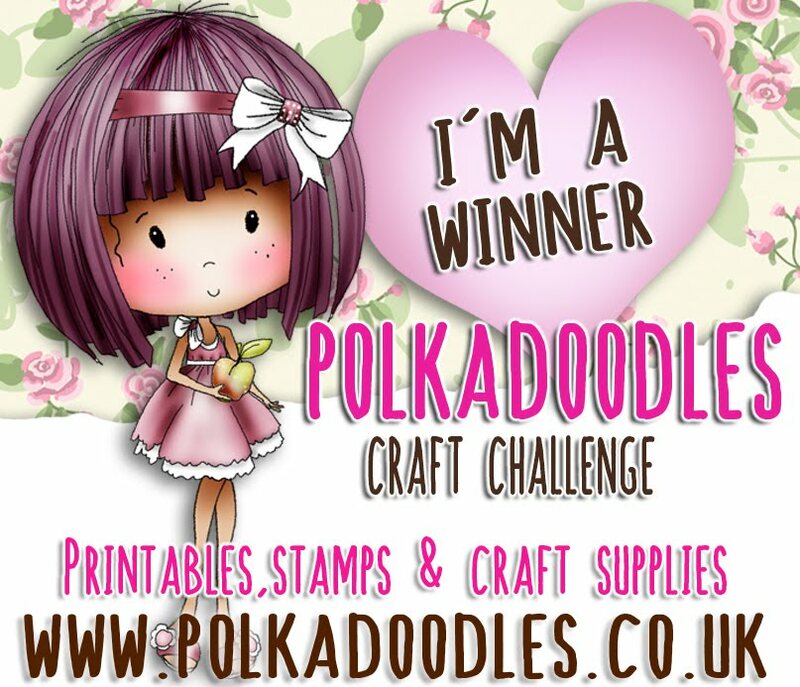 You have won a £5 voucher for Polkadoodles digi store! Thanks to you all and congratulations. Don't forget to take your blinkies from the side bar.